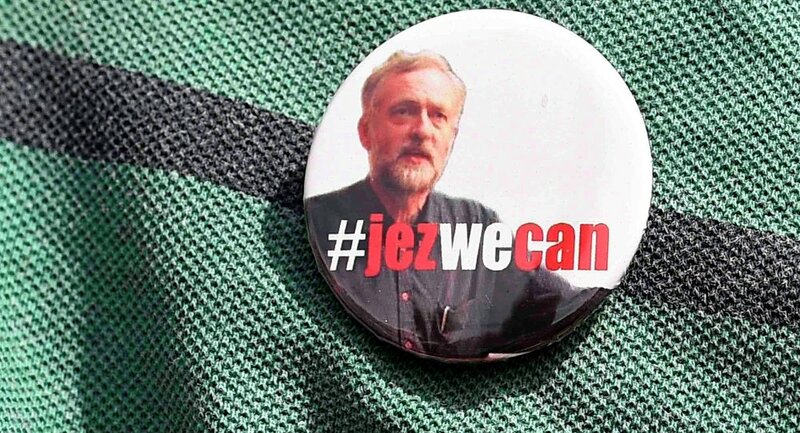 The big political story in the UK this summer is undoubtedly ‘Corbynmania'. How a 66-year-old antiwar activist and socialist has gone from being the rank 200-1 outsider in the Labour leadership contest election to be the red-hot favorite. 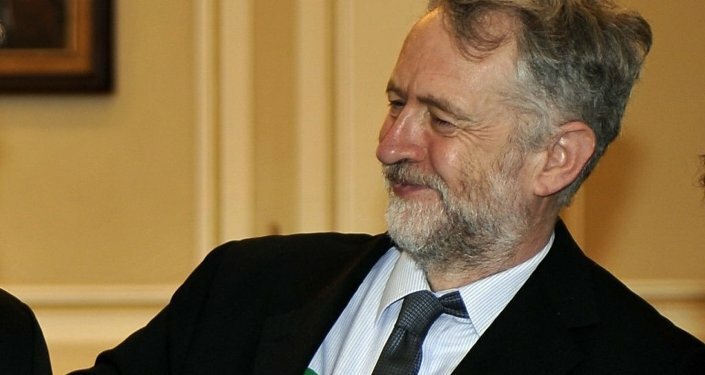 Jeremy Corbyn, a modest, unassuming man who wears an open necked shirt and slacks instead of the usual politician's suit and tie, has really proved a big hit with the public, who have grown tired of slick politicians who are always 'on message', and who don't seem at all sincere in what they're saying. Large crowds have turned out to hear Corbyn speak: last week he had to give his speech from the top of a fire engine as an election rally spilled out into the street. Not everyone though has welcomed Corbyn's advance. One man who has made repeated warnings about the 'dangers' of Jeremy Corbyn is Cyril Waugh-Monger, a 'Very Important' newspaper columnist for the NeoCon Daily, a patron of the Senator Joe McCarthy Appreciation Society and the author of 'Why the Iraq War was a Brilliant Idea', as well as 'The Humanitarian Case for Bombing Syria'. Below are Mr Waugh-Monger's ten commandments to Labour members to not, under any circumstances, vote for Jeremy Corbyn. Remember, we need to take what he has to say very seriously — as, after all, he did reveal to us that Iraq possessed WMDs [Weapons of Mass Destruction] in 2003. 1. Jeremy Corbyn wants to 'stop the war'. Jeremy Corbyn opposed the bombing of Yugoslavia. He opposed the invasion of Afghanistan. He was against the invasion of Iraq. He was against bombing Libya and also voted against military action in Syria. I ask you — is this the sort of man who is fit to be in charge of one of Britain's leading parties? The more neocons & the pro-war fake left attack him, the more Jeremy Corbyn's popularity grows. It's game over for the pro Iraq war clique. If Corbyn — heaven forbid — had been British Prime Minister in 2003 he would not have committed British troops to the invasion of Iraq. Just imagine what would have happened if we hadn't invaded Iraq! Well, I'll tell you what would have happened — the Middle East would now be a haven for terrorist groups which would be targeting British tourists on beaches when they go on their summer holidays. The whole Middle East would now be in turmoil. We'd be facing a refugee crisis with people fleeing all the countries that we hadn't destabilized. 2. Jeremy Corbyn is a dangerous leftist. Just look at the sort of policies this man supports. He wants to re-nationalize the railways which have the highest fares in Europe. He wants to scrap university tuition fees which consign students to a lifetime of debt. He would like to make housing affordable for ordinary people. He wants an economy to suit the needs of the majority and not the 1%. He wants to keep the Sunday trading laws as they are and not introduce 24/7 shopping. He is opposed to illegal wars which kill hundreds of thousands of people and he does not want to bring back fox-hunting. Quite clearly the man is some kind of left-wing nutcase. 3. Jeremy Corbyn has been critical of the US and Israel. Outrageously, Corbyn has criticized US foreign policy and Israel's treatment of the Palestinians. He seems to think that the US and Israel have to abide by international law — and should be held accountable for their actions. The man is quite obviously a communist and as such should be barred not only from standing for Labour leader, but banned from the Labour Party too. 4. Jeremy Corbyn has extremist links. Not only is Corbyn a dangerous radical himself, he also associates with dangerous extremists. He once spoke at a meeting where one of the other speakers had once shared a platform with a speaker who had once shared a platform with a speaker who had once shared a platform with a speaker who had once praised Joseph Stalin — proving undeniably that Corbyn is a Stalinist. Also on Twitter, Corbyn once retweeted a person who had once retweeted another person who had once retweeted another person who had retweeted a tweet from someone who I don't approve of — proving once again Corby's extremism. 5. Jeremy Corbyn is unelectable. Jeremy Corbyn wants to do things which the majority of the British public wants, such as re-nationalize the railways and keep Britain out of Middle East wars. This makes him unelectable because politicians are only electable if they want to do things the public doesn't want. At the last election, Labour lost heavily to the anti-austerity SNP in Scotland and also lost lots of votes to the anti-austerity Greens. So it's obvious that to get these votes back, Labour needs a leader who supports austerity, and not someone who opposes it, like Corbyn. I'm a very wealthy right-wing, pro-austerity warmonger, but believe me, I only want the best for Labour — which is to be a right-wing pro-austerity, pro-war party — barely distinguishable from the Tories. Having two main parties who have identical views on the main issues is what democracy is all about. If Corbyn wins then Labour would be very different from the Conservatives, which would obviously be very bad for democracy as it would give the electorate a real choice. 6. Jeremy Corbyn wants to take us back to the 1970s. In the 1970s the gap between the rich and poor was at its lowest in the UK's history. Living standards for ordinary people were rising all the time and large sections of the economy were in public ownership. The banks did not run the country and the taxation system was steeply progressive. Corbyn wants to take us back to these times! Think how disastrous that would be for rich people like me who would have to pay much higher rates of tax which would be redistributed to horrible working class-type people and people on middle incomes. The 1% would really suffer and the most talented people — like myself — and my neocon friends, would leave the country. That's what lies in store for us if Corbyn succeeds! 7. Jeremy Corbyn would leave Britain defenseless and open to invasion. Corbyn has promised to scrap Trident. If Trident was scrapped there's no doubt that the Russians, Iranians, Syrians and Hezbollah would launch a full scale invasion of Britain within 45 minutes. Britain would be carved up between the 'Axis of Evil', with the Russians taking England, the Iranians Scotland and the Syrians, Wales (and Hezbollah in charge of Northern Ireland). Just imagine, Aberystywyth under the control of the evil dictator Bashar al-Assad. Russian troops patroling the streets of Godalming. Iran's Revolutionary Guard marching in Sauchiehall Street. A nightmare scenario indeed, but all this would be the reality if Corbyn gets his way. The very future of our country is at stake. 8. Jeremy Corbyn once welcomed an article by John Pilger. In 2004, Jeremy Corbyn was one of 25 MPs who signed an Early Day Motion which welcomed a Pilger article on Kosovo. How outrageous! To think, a man is standing for the leadership of one of Britain's major parties who once welcomed an article by John Pilger! No one who has ever cited John Pilger with approval — let alone signed a motion supporting him — should be allowed to stand for high public office in Britain. The freedom to hold and express views and opinions in a democracy should only apply to opinions and views that myself and fellow elite neocons approve of! And we most certainly do not approve of John Pilger! 9. Jeremy Corbyn opposes austerity. Rise of the Left: Will Britain Join Europe's Anti-Austerity Rebel Club? Austerity is working brilliantly at the moment. It's provided a great excuse for the government to flog off remaining state assets at below their true market value to 'the right people' in the City. The welfare payments of lower-class people who have far too many children are being cut. Libraries and local authority services are being closed. Yet, guess what? The bearded one opposes all of this. 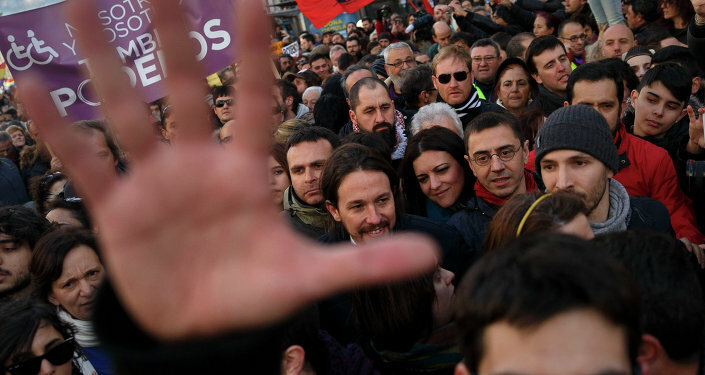 He says that "austerity is a political choice, not an economic necessity." He wants to protect public services and libraries from cuts — and instead wants to crackdown on tax evasion and increase taxes on the very wealthy! I ask you — is this the sort of man we want leading Labour — or worse still, the country? 10. Jeremy Corbyn is very popular. …And if he succeeds — which seems very likely — it's game over for me and my little clique of elite warmongers. We won't get our wars and we'll have to pay more taxes and it'll be all perfectly horrible! So, don't vote for Jeremy Corbyn, because although he'll be very good news for you — his success will be terrible for us!